VMB4RYLD has the advantage of easy wiring. Just input your voltage and the 4 outputs can be used instantly without extensive wiring. 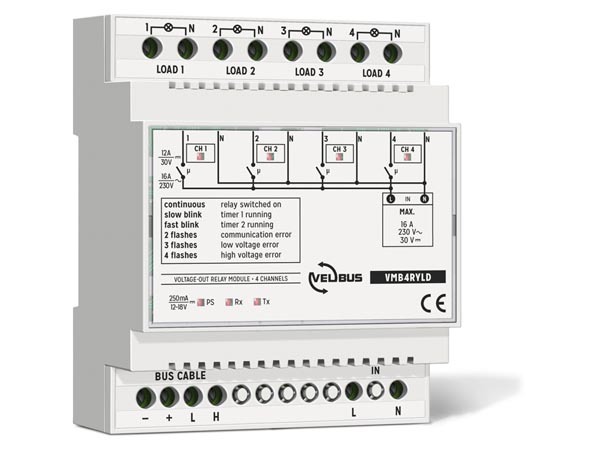 This Velbus® relay module is completely configurable using the free Velbus-link software and Timers and functions can be set using the software. There are up to 250 possible address for each module, indication of output status (On/Off), power and data are displayed on LED's.